Mobile boat hoist, a mobile gantry hoist for marine industry operations for boat hauling, container handling around ports, and also the hottest sale series of lifting hoists equipment from Ellsen crane machinery. 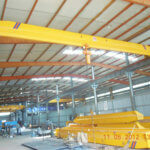 The boat lift hoist is cost effective since its directly export to all countries wherever needs. Thus, once you choose Ellsen, you also choose our service. 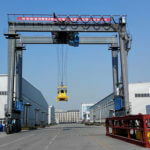 Ellsen as an integrated lifting machinery, apart from the jib crane factory, gantry crane factory, hoists factory, winch and capstan factory, and also has its own boat hoist crane factory. 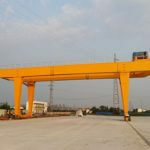 We specialize in manufacturing travel hoists, straddle cranes, container cranes, mobile gantry cranes, port cranes used for marine industry on ports, wharves, boats, offshore and so on. 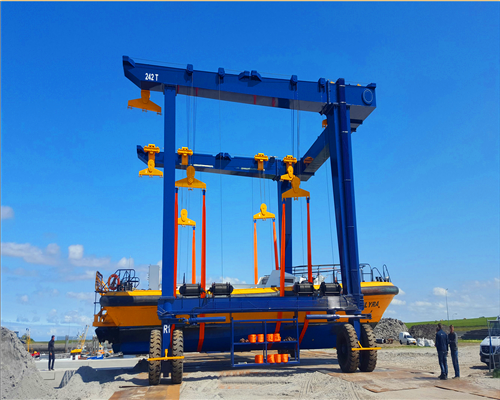 The boat hoist lifts manufactured by Ellsen Crane Machinery are our latest brand new cranes employed in cutting-edge crane research and development technologies. Thus, all of them are featuring in high performance, energy saving, environmental-friendly, cost-effective, high safety performance, easy to operate, high working efficiency, fast working operation, comfortable working environment for your operator. Thus, any types of mobile boat hoists you need, you can buy from Ellsen machinery. All type of travel lifts available to you at factory price. What Kinds of Ellsen mobile boat hoist for sale for your industry? If you want to buy a new mobile boat hoist for your marine industry? What factors will you consider firstly in your mind? 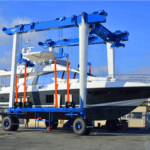 The boat crane lift supplier, manufacturer, and the quality of the crane lifts, the types of boat lifts, and prices whether they are compatible with your business? And how can you by a travel lift marine crane at the lowest cost? Taking all these factors into consideration, the mobile boat hoists from our marine crane manufacturing department will be your first choice. Quality quarantee: strictly manufacturing process and crane inspection procedures totally meeting the international standard. Customized services promoted: crane solution, design, configuration, installation, inspection, any services you need, totally customized to you. You may have questions what kind of mobile boat hoist supplier we are. With almost 2 decade years in this crane lifts manufacturing industry, the company has rich experience in what it is always dedicated to. The above features of the crane travel lift features and services are proffered we are qualified as your ideal marine lifts manufacturer. If you want to know more details, welcome contact us, there are professional travel lifts engineers who can solve every problem in such complex project of travel lifts purchasing. Ellsen machinery can manufacturer any types of travel hoist your business need? 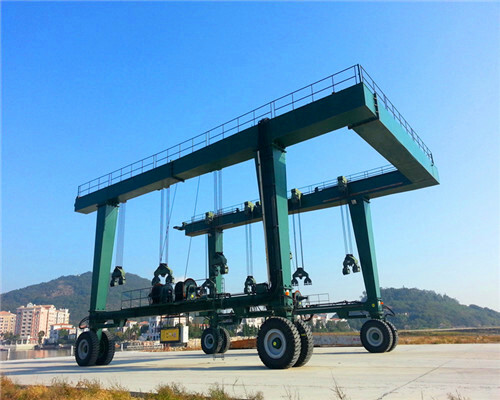 The following are some main types of travel lifts (straddle carriers, boat travel lift, wood travel lift) specifications for your reference. 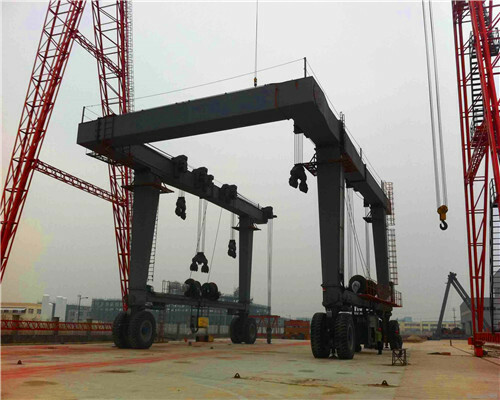 In Ellsen, there is also heavy duty boat hoist crane, if you need loading heavyweight materials, this type of crane will be best for your marine industry. A high-performance marine travel hoists can never be separated from its parts configuration. The boat hoist parts are all manufactured from its own factory and inspect in accordance with the international standard. Every manufacturing process of the travel lift parts are strictly done by our professional stuff with rich experiences and inspected qualified by the international standardized tests. 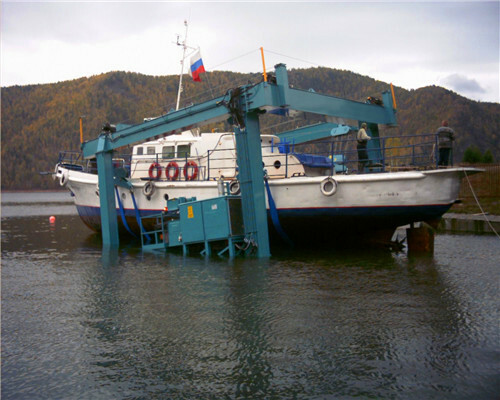 The mobile boat crane tires of the company are quality guarantee and have a long service time employed in the latest composition material which is only applied in several famous travel lifts manufacturers. All types of mobile boat hoists manufactured from Ellsen crane machinery are cost effective. The factory price level travel hoists also have different prices level for your different selections. If the configurations of the boat lifts you choose are different, the marine travel hoist prices are also different. The common and traditional configuration mobile boat hoists prices are usually cheaper than the high configuration bost hoists. However, if you choose a travelift with heavy duty capacity, the price of the crane you will share will also more expensive than the light-duty boat lifts prices. Thus, before you choose a travel lift for your industry, you need to be specific about the marine travel hoists specifications or the configurations you want to equip for your new travel lifts. Let us know exactly what kind of travel hoists you definitely want is quite important for your costs and investment on such machine. 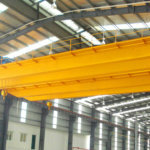 The crane engineer will provide you with the most cost-effective crane purchasing plan for you. Recently, the factory is on Product Exhibitions activities in Vietnam, if you are in Vietnam, and you can seize this chance, our sales will talk into details about our products and services. How to choose a realiable mobile boat hoist manufacturer or a supplier. 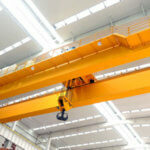 Here are some tips that Ellsen crane machinery provide for you. Just for your reference. Firstly, care more about the products the manufacturer provides: does it only manufacturer the only products? Or the electric boat hoist manufacturer also has some other products. 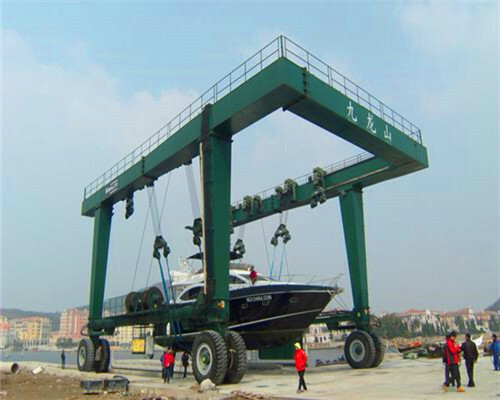 If these mobile boat hoist manufacturers can provide you customized travel lifts, that will be best for you and your industry. Mobile boat hoist manufactured from Ellsen Travel hoist factory will be priced at our factory price level. If you need a cheap travelling type portal crane for your marine industry, Ellsen will be your ideal chioce. Contact us online now!